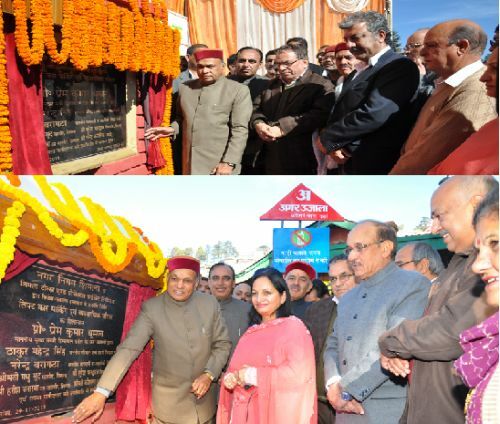 Chief Minister Prem Kumar Dhumal laid the foundation stone of two vital multi-storey parking slots creating additional parking facilities for 1088 vehicles at a cost of Rs. 65 crore. Both the parking slots were being developed by the private parties at their own cost which would be paying concession fee to the Municipal Corporation on becoming operational thereby generating income to the Corporation. Chief Minister said that parking near the lift would be of six storeys and also create commercial area of about 40,000 sq. feet. Parking near lift will be constructing at the cost of Rs. 40 crore and will accommodate about 700 vehicles. The Lift Parking slot had been awarded to M/S Shimla Tolls and Projects Private Limited for concession period of 30 years, whereas Sanjauli parking would be of seven storeys which included commercial area of 34,400 sq. feet and facilitate parking of 388 vehicles. Sanjauli project cost had been estimated at Rs. 25 crore and awarded to M/S Tantia Sanjauli Parking Constructions Limited, for a concession period of 30 years. 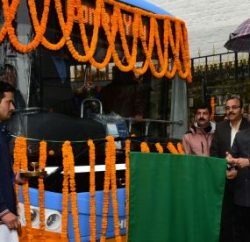 Chief Minsiter said that the State Government had proposed to construct parking complexes in almost all the wards of Municipal Corporation, Shimla, out of which three parking projects had been finalized for Chhota Shimla, Sanjauli and Lift. 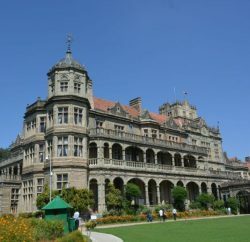 He said that parking had emerged as a priority with the people visiting Shimla and those residing in town permanently. 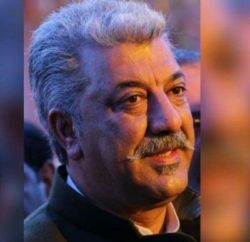 He said that with the increase in population and expansion of the township, demand of creating additional parking slots had surfaced as a priority. He said that in order to meet the demand, the State Government was endeavouring to create maximum parking slots to facilitate parking of increased number of vehicles. He appealed to the vehicle owners to park their vehicles inside the marked yellow line with a view to leave sufficient space for smooth plying of vehicles, especially emergency vehicles. He directed the authorities to view illegal parking seriously and take action under traffic regulations so that such practices were curbed. He said that vehicle owners also needed to be sensitized about the traffic rules so that they did not violate the same. He said that Shimla happened to be internationally acknowledged as important historic town besides world class tourist destination and it was the joint responsibility of every citizen to preserve its grandeur and glory so that more tourists were attracted to visit round the year. Madhu Sood, Mayor, Municipal Corporation, Harish Janartha, Deputy Mayor, A.N. Sharma, Commissioner, Municipal Corporation, Ganesh Datt, Vice Chairman, HIMUDA, Narender Kataria, former Mayor, Tarsem Bharti, Senior BJP Leader, Rajesh Sharda, President, Shimla BJP Mandal, P.C.Dhiman, Principal Secretary Housing and Urban Bodies, Onkar Sharma, Deputy Commissioner, Sonal Agnihotri, SP, Poornima Chauhan, Director, Urban and Local Bodies, councilors and other prominent people of the area were present on the occasion.